In this guide, we’ll go over the top 7 coworking spaces in New York City, including each organization’s pricing model, coworking locations, and more. WeWork is perhaps the fastest-growing coworking network in existence today. Their competitive prices, abundance of beautiful office spaces, and generous amenities make them our top choice for coworking in New York City. 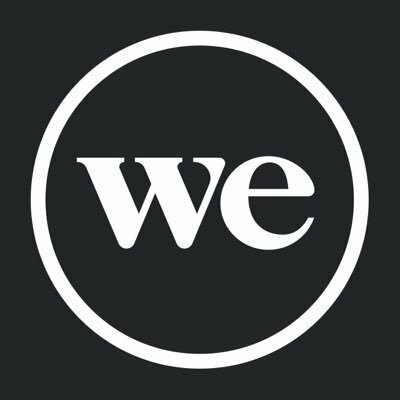 WeWork advertises high-speed WiFi, daily cleaning, IT support, 24/7 building access, office supplies, business-class printers, micro-roasted coffee, private phone booths, and conference room access. WeWork’s pricing is divided into three categories: hot desks, dedicated desks, and private offices. Below is the price range for each (depending on location). Note that some membership options may not be offered at certain locations. GreenDesk - Starts at $49/mo. GreenDesk is a Brooklyn-based coworking company that offers super affordable membership options. They operate with an emphasis on environmentally-friendly practices. Members can enjoy 24/7 building access, mail services, free coffee, print and copy services, and a fully-equipped kitchen. Spacious - Starts at $99/mo. Spacious’ unique coworking model involves them partnering with existing businesses that can dedicate vacant space to their members. They currently have over a dozen low-price workspaces across New York City. Spacious installs high-speed WiFi and additional power strips at all of their locations. Membership also includes basic amenities like free coffee and tea. Workville - Starts at $50/mo. One of the city’s highest-rated coworking spaces, Workville is located a short distance from Penn and Grand Central stations and features three separate outdoor terraces. Amenities include 24/7 access, printing and copying, a rooftop lounge, member events, and tech assistance. Space 530 - Starts at $300/mo. Space 530 offers 30,000 sq/ft of space in its single Midtown Manhattan location, which features 22-foot ceilings and 16-foot windows, as well as a rooftop lounge. Membership includes 24/7 access, mail service, phone booths, printing and copying, free coffee and tea, and IT support. The Commons - Starts at $50/mo. The Commons operates out of two floors of a building located in Manhattan’s Upper East Side, with easy access to several subway lines. Amenities include 24/7 access, conference rooms, phone booths, storage, printing, mail services, member events, a quiet area, and free coffee. Blender Workspace - Starts at $500/mo. Founded in 2017, Blender Workspace aims to provide a luxury coworking option in the NoMad area of New York City, featuring beamed ceilings, mahogany workstations, and views of Madison Avenue. The space includes meeting rooms, lounges, privacy booths, printing and copying, and member events. Whether you work in graphic design, software development, or any other field that calls for a remote workspace, we trust that WeWork will have an office in NYC that suits your needs.